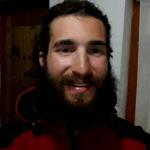 So you have three days in Kathmandu. Or maybe you have more. In either case, this itinerary will help you to get the most out of this magical yet hectic place. Upon arrival in Nepal, I was often advised to get out of Kathmandu Valley ASAP and enjoy the countryside. Not to say that the countryside isn't spectacular — because it is — but this city has so much to offer in terms of culture, history, and, of course, food, that it is more than worthy of a lingering visit. 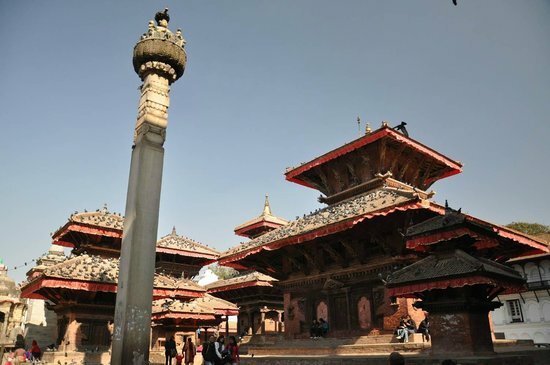 Bear in mind that after the April 2015 earthquake certain parts of the old city complexes in Kathmandu Valley suffered damage and may still be being cleared or reconstructed at the time of your visit. 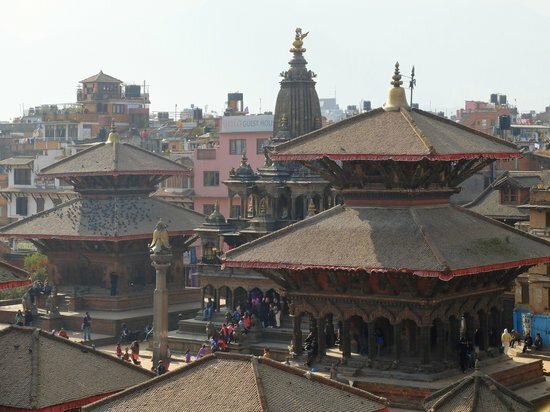 A large part of the city was not affected by the earthquake however — including Thamel — and it's a good idea to use a local guide to show you these parts. Taxis are generally available, but if you are on a budget or prefer to use the local transportation, go for the micro buses. "Namaste" is the way to say "Hello" here, but its literal translation is something along the lines of "The god in me sees the god in you." The busy Thamel area requires some patience, but for each second that you feel overwhelmed, you're likely to enjoy subsequent periods of bliss. 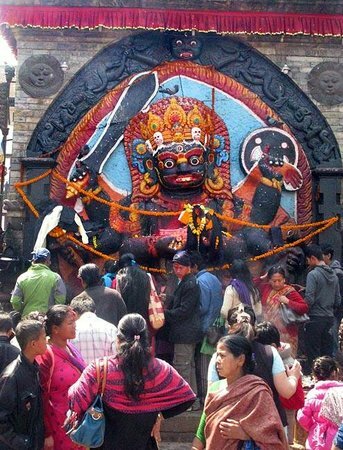 Avoid wearing revealing clothes while in Nepal. 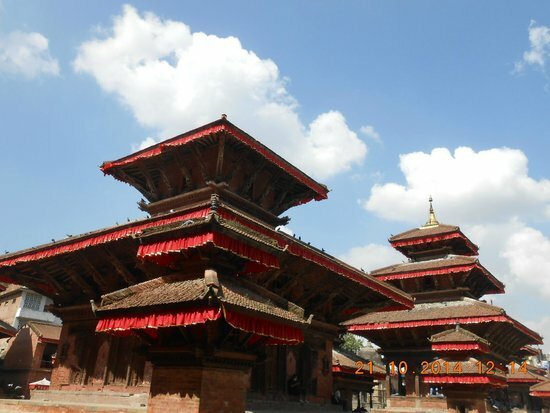 There are three cities in Kathmandu Valley: Kathmandu, Patan, and Bhaktapur. Accordingly, there are three Durbar (Palace) Squares. This guide includes the first two. Tipping is not part of the culture here, although at some of the more touristy restaurants there can be a 10% service charge, a 13% VAT, or, in some cases, both. 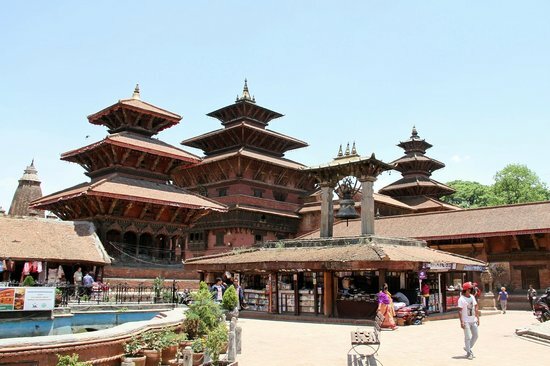 Kathmandu's Durbar Square is picturesque and historic, and to reach it from Thamel you'll explore some colorful and lively alleyways en route. All of the guidebooks will have this down as a must-see, and they aren't wrong. However, what I would add is that you should leave yourself plenty of time to walk here. This way, you can check out some of the side streets, where you'll find little shops selling everything from Western clothes and colorful Saris to pots and pans, baked goods, coffee, and, of course, tea. There is an entrance fee, as this is a UNESCO Heritage site. If you're up for a long day, come back and see this at night, as well — it can be a lot of walking, but the square is like another world once it gets dark. The streets will be packed with pedestrians and motorists; watch where you're going and try not to get irritated at the constant horn beeping, part of the driving culture here. Bear in mind that parts of the monument were damaged during the April 2015 earthquake. It is still amazing to experience it however. It's on Kathmandu's back streets where you'll find restaurants that look too small to be restaurants — and get quite possibly the most authentic experience eating with locals. 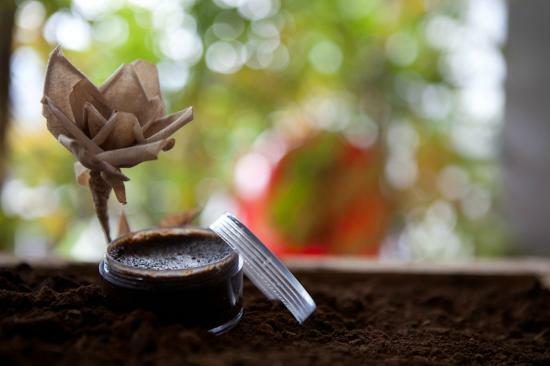 If you find yourself in a small local restaurant with no menu, consider ordering the dishes in the tips that follow. Walking down Kathmandu's back streets is when I have met some of the more interesting people in the city, so I cannot recommend it enough. If you decide to eat with your hands, make sure to use only the right hand, as that is the cultural norm. The locals will usually giggle with enjoyment when they see you do this. 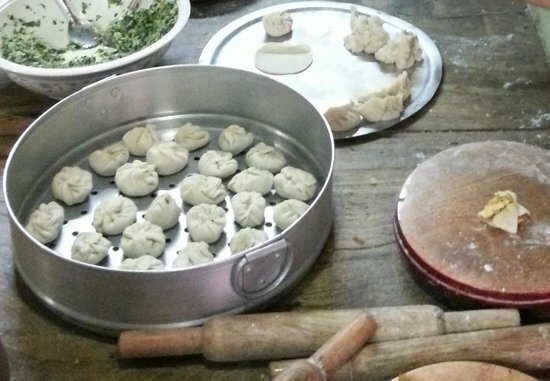 Steamed "momo" are a good bet when it comes to street food. For breakfast, order "aloo chana" (sautéed potato and chickpeas). For lunch, go for "momo" (dumplings). Some places will only serve meat momo (usually chicken or buffalo), but vegetarian momo can be found. For dinner, get "dahl baht." Dahl is a lentil soup, and baht is rice, which comes with vegetables. 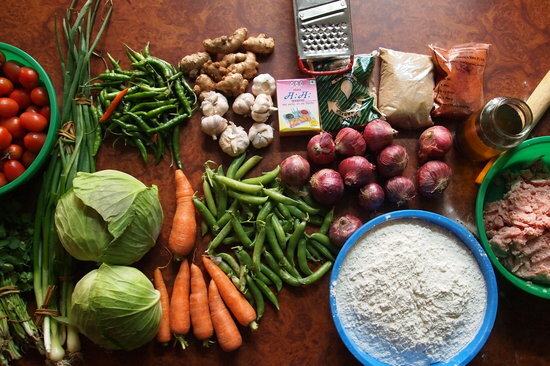 For an even more authentic experience, eat like the Nepalese do: with your hands. Following the April 2015 earthquake, some buildings along the backstreet were left in poor structural condition, and are only still standing with the help of poles. Try to avoid these lanes if you stumble across them as they may not be secure. In the '60s and early '70s, Kathmandu was a hub of the so called 'Hippie Trail,' and Jhhonchen Tole is the area where travelers would come to buy government-regulated marijuana. Those days are long past, and the drug is now illegal in Nepal, but Freak Street (now referred to as Old Freak Street) is still worth a visit for its cafes, restaurants, and stores selling clothes that will make you feel like you're back in the '60s. There are plenty of souvenir shops and cyber cafes; there are also several guesthouses, so if you care to stay in this area for a night, finding a place won't be a problem. If you have read about the old Freak Street of yesteryear, then my advice is to go in with an open mind — it has changed a lot, but so has almost all of Nepal. The history alone makes it worth a visit. 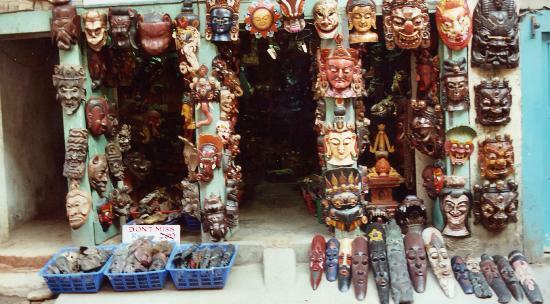 You can visit Freak Street on the way to Durbar Square, or on the way back. 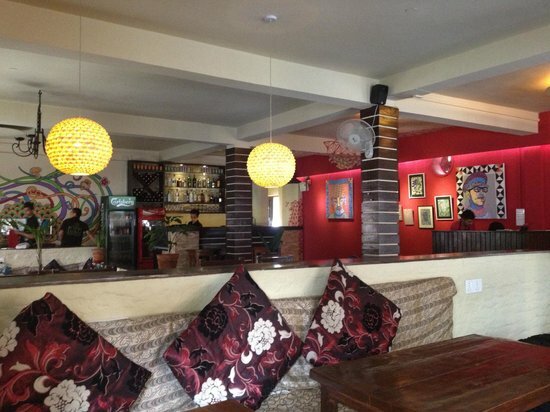 Consider having lunch here, as there are more places to eat than in Durbar Square. So you've had a long day of navigating some of Kathmandu's busiest pedestrian streets and visiting Durbar Square. Now you want to get a good meal and relax. Places offers comfortable floor seating, a consistently good music selection, and one of the few menus that doesn't have a single bad item on it (and I've tried almost everything they have). 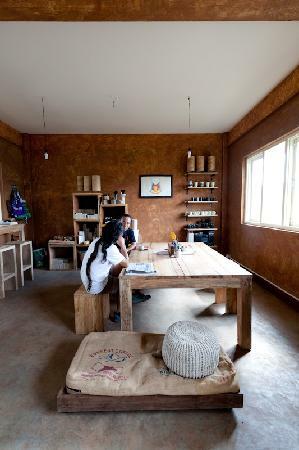 It's a good place to meet other travelers, and you will likely see a few locals here as well. During the day and earlier in the night, Places is a quiet spot, but later at night it gets busy, especially on weekends. The "Aubergine Pie" is one of their best dishes. There are hammocks on the roof. They often have live music in the evenings, and I have been here for some good jazz. 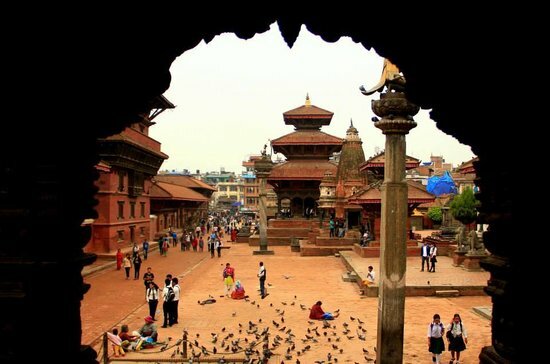 The Durbar Square in Patan is similar to the Durbar Square in Thamel, but with a history of its own. This square is home to an ancient palace and loads of beautiful architecture from the Newa people (one of the groups who occupied this area before Kathmandu was united into one city). 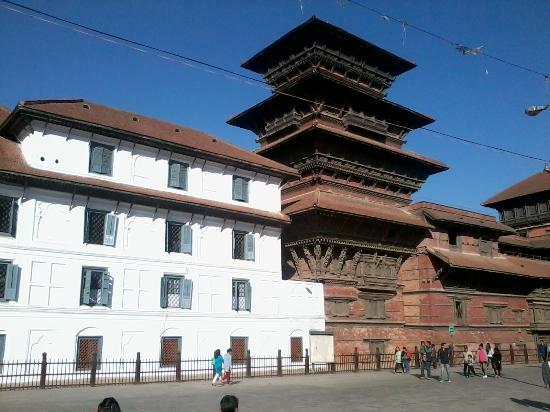 Most of the architecture dates back to the 1600s, and like all three of the Durbar Squares, this one is a UNESCO Heritage site. The intricate craftsmanship on the wooden structures is something to marvel at: There has been some restoration work done over the years, but it has been done well, and most of what you see here today is original. 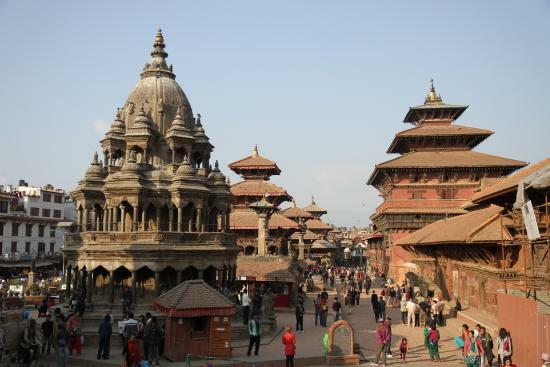 The entrance fee to the square includes entrance to the first floor of the Patan Museum. If coming from Thamel, take a micro bus from Rutna Park and ask for Patan Durbar Squar. It should be a 15-minute walk from where they drop you off. Stroll through the residential alleyways if you have extra time — there are many small stupas and temples to see. Note that while some monuments were affected by the April 2015 earthquake, this square regained its ambiance quickly. Be mindful for ongoing reconstructions in the surrounding lanes however. 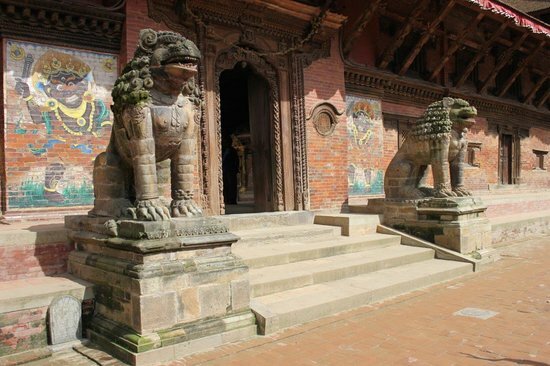 Located inside Patan's central Durbar Square and containing art dating back to the 7th century, Patan Museum is a must-see, even though it's sometimes overlooked (the first time I walked through Durbar Square, I had no idea it was even there.) The museum has been changed in the last few years and is now a combination of three museums. 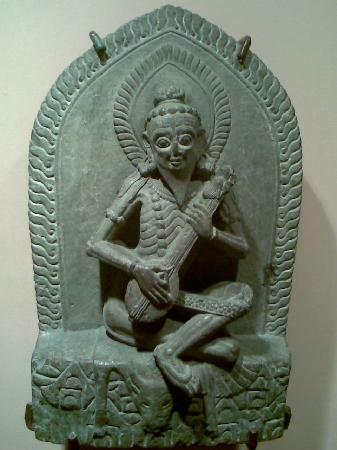 There are sections specifically for art relating to Hinduism, Buddhism, and architecture, making this is one of the nicest, most unique museums I have seen in Asia. The breadth of art that has been curated here is not only beautiful, but educational; there is so much history in every piece. Block out at least an hour or two to make the most of the experience; it's not the cheapest museum to get into, but it's worth it. The chocolate-dipped biscuits are made locally and they sell quickly — if you are lucky enough to find them, it's worth buying a couple for later. If you have difficulty finding this place, ask for directions to Moksh (a well-known pizza place right next door). Iced coffee served here is the best deal in all of Kathmandu. 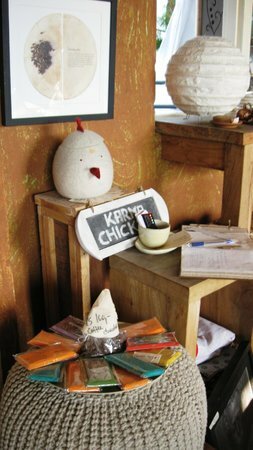 Pair Moksh with a day at Patan Museum and a stop at kar.ma COFFEE. It is across the way from the coffee shop and serves freshly made pizza on hand-spun dough. The pizzas are a good value, and the laid-back atmosphere makes for a comfortable place to spend the evening eating and chatting. If you're a music fan, check out the Nepali band called '1974 AD.' Their frontman owns this restaurant and is frequently here. The menu is more than just pizza, but the pizza is what it is known for. There is live music here often, so call ahead to inquire, and try to go for a night of tunes. 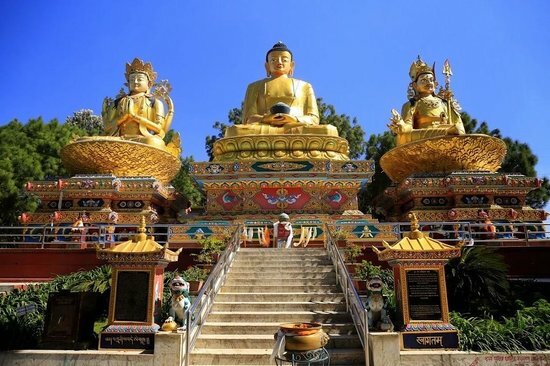 Also known as the 'Monkey Temple,' this place is about a 40-minute walk from Kathmandu's Thamel area, close enough that it makes for a nice half-day trip. 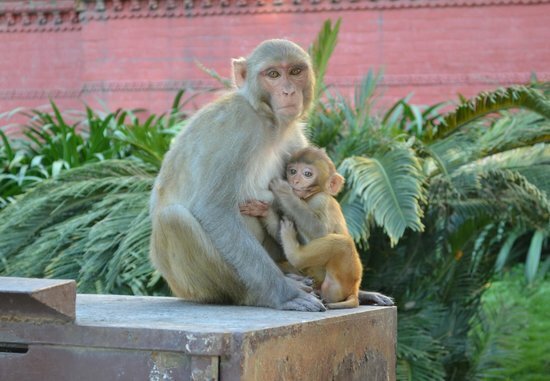 You will see loads of monkeys that are comfortable enough to come close to the visitors, making for some great photo opportunities. 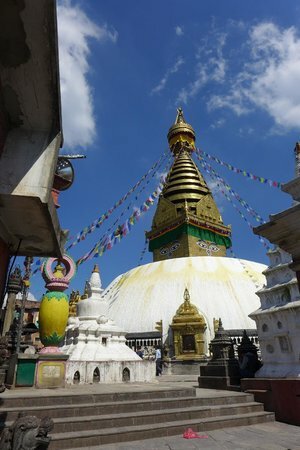 Swayambhunath Temple is one of the most important Buddhist pilgrimage sites in the area, so please be respectful and (as I would also suggest for all of Nepal) do not wear revealing clothing. There is an entrance fee charge. 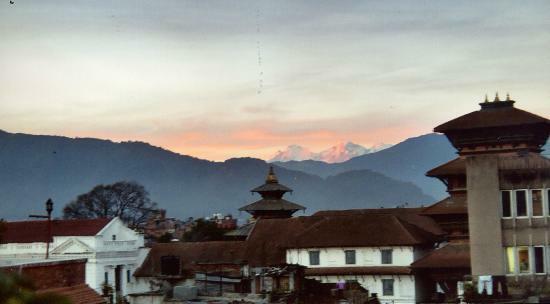 It's ideal to go for sunset because there is a nice view of Kathmandu; consequently, that is also the busier time, so if you want peace and quiet, go early in the morning. Following the April 2015 earthquake, areas of this complex may still be undergoing reconstruction efforts during your visit. This in itself is a moving sight to see! 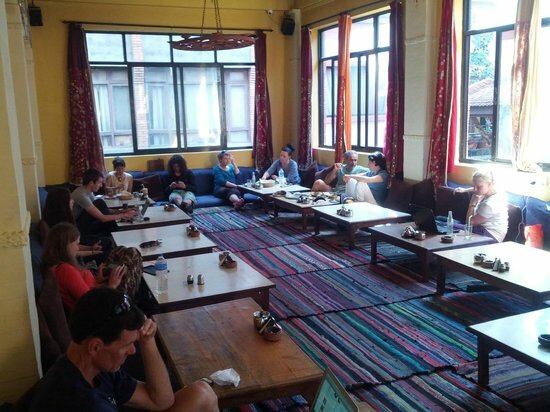 In Thamel, the company Social Tours offers a Nepali Cooking Course two times a day: in the morning and then in the afternoon. 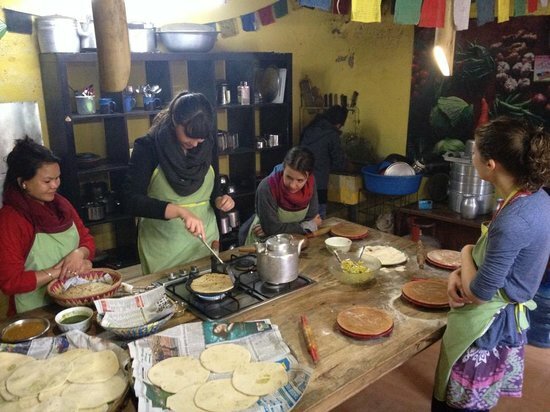 You will learn to cook 'momo' (dumplings), 'dahl baht' (Nepal's national dish of lentils, rice, and vegetables), or 'alu parantha' (like a chapati with mashed potatoes inside). The kitchen is clean, the program is well organized, the chef is a great teacher, and the recipes are outstanding. 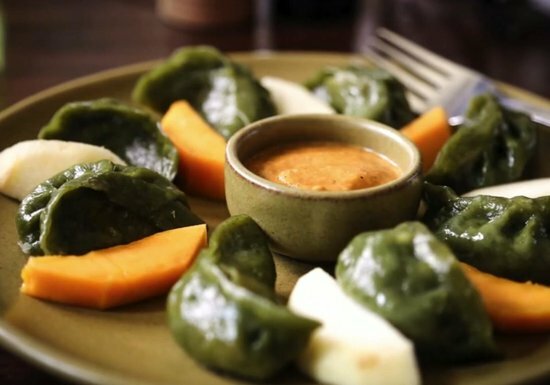 These are the best spinach-and-cheese momo I have eaten in all of Nepal (and I have tried many). The day starts with the chef taking you to a small local market to buy the ingredients you will cook with, and after you cook you'll get to eat with some of the employees. The best part about this (besides the momo) is that there is no price — at the end of the class, you pay whatever you think it was worth. 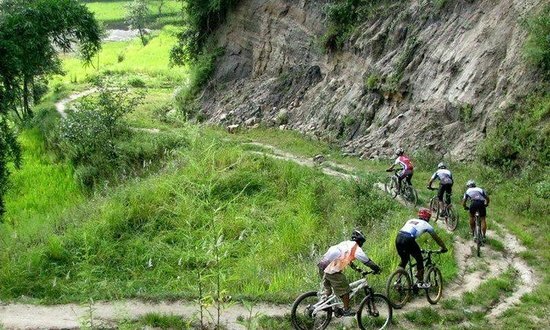 Mountain biking is rapidly developing as a popular sport among locals in Nepal: the terrain throughout the country is ideal, and Kathmandu is no exception. 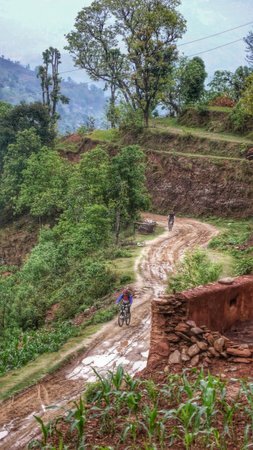 Yes, it is a big, busy city, but the unique thing about Kathmandu is that it doesn't really taper off into suburbs — rather, it comes to an abrupt halt and changes from city to countryside. Taking a bike tour is a perfect way to explore the areas directly outside the city, and various tour groups offer options for all skill levels. You can ride through small villages or national parks, all in close proximity to the city center. Make sure you choose a reputable company to ride with — having a knowledgeable and well-prepared guide can make all the difference. 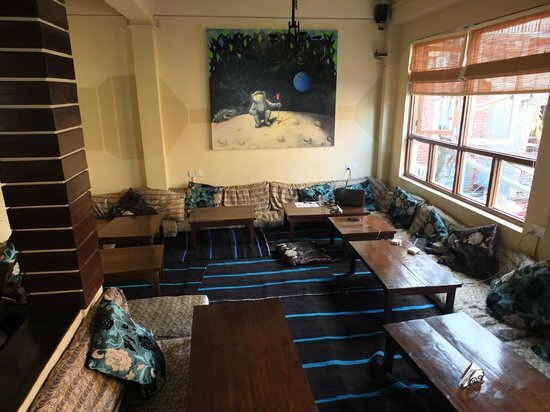 Located in the heart of Thamel, OR2K not only has good food but also a great ambiance, with lots of art on the walls, relaxed floor seating, and atmospheric tunes. 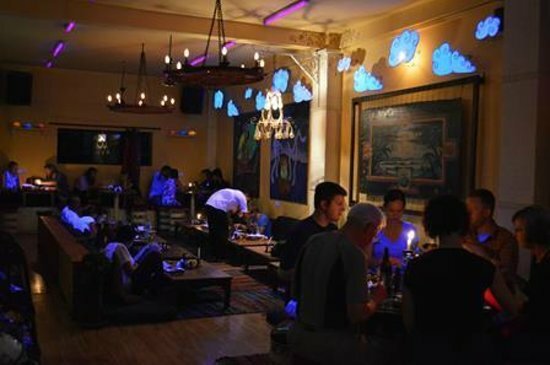 It's a trendy place, therefore good for meeting other travelers. If you don't have so much time to sit and eat, then check out their falafel shop, located on the corner of Mandala Drive, right next to the entrance of OR2K. 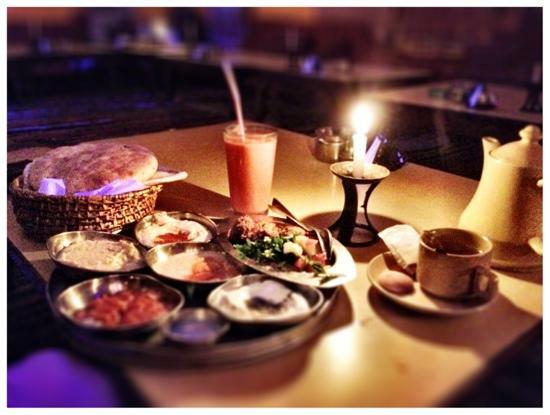 They use freshly baked chapati and make the falafel right in front of you; the tahini is locally made as well. If you think the falafel wrap may be too much food, go for the falafel and chips bowl — it's just as tasty, but without the bread! I have often been with people who like to share the combo platter, but if you are very hungry, then it's a good portion for one. The WiFi here is good.